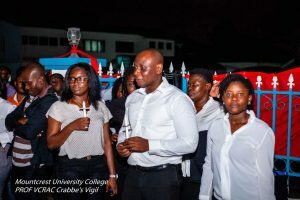 Students and staff of Mountcrest University College (MCU) on Thursday night (13th September, 2018) held a candlelight vigil at the forecourt of the Kanda Campus in Accra for the late Professor Justice Vincent Cyril Richard Arthur Charles Crabbe, the eminent Jurist who was a Professor of Law at the College until his demise on 7th September, 2018. It was organized by the Students Representative Council (SRC). 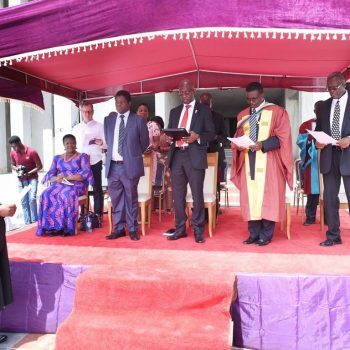 Prof Crabbe who was the Patron of the SRC, was also the Founding Rector of the College from January 2010 to 31st December 2013. 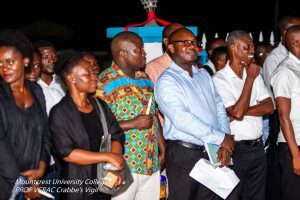 The vigil was attended by the Founder/Rector of Mountcrest, Mr. Kwaku Ansa-Asare, Deputy Rector in charge of Student Affairs and Dean of the School of Medicine and Allied Health Professions, Prof. Harold Stewart Amonoo-Kuofi, some members of the legal fraternity, and some alumni of the College. 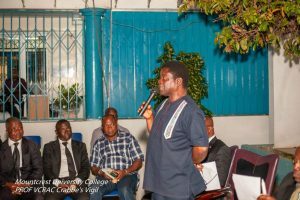 In his eulogy, Mr. Ansa-Asare said the late Professor Crabbe single handedly developed legislative drafting in Ghana. 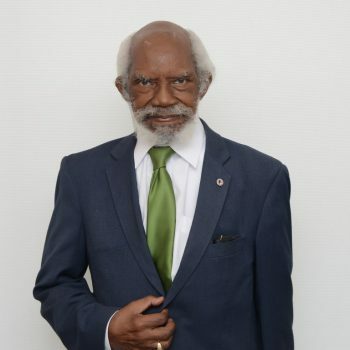 He said in 1980, “Charley”, as he affectionately called the Jurist, taught him advocacy and also made it his job to teach the class English grammar, stressing on the correct pronunciation of words – something the class teased the Professor about in his absence. 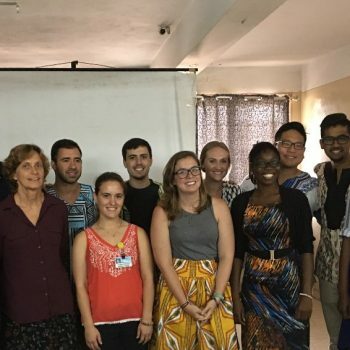 “The relationship has grown to that of family, confidant, colleague, father and counsellor”, he noted and added that although the vigil was to mourn Prof. Crabbe, it was also to celebrate his life and achievements as he had diligently worked for mother Ghana and other countries in Africa and around the world. 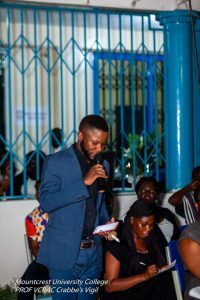 Commenting on the impressive attendance at the vigil, Mr. Ansa-Asare said it was unusual for students to come together to organize such a beautiful ceremony for a departed soul. And “it goes to prove that the legal luminary touched lives beyond intellectuality and academics”. 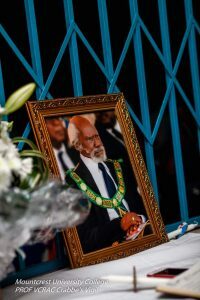 He finished off by encouraging the gathering to emulate the life of the late Professor and give out their best to society as he did until his last days. 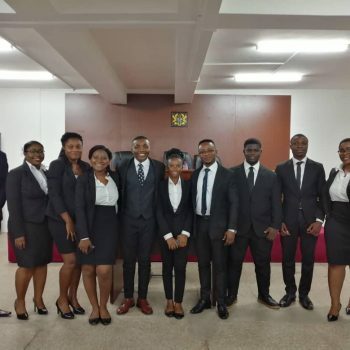 The Ghana Armed Forces Director of Legal Services, Colonel Amoah-Boakye, recounted his first meeting with Prof. Crabbe when he (Prof) was tasked to convene a new board for a legal project. He said on his arrival at Burma Camp, Prof. was honored with a Quarter Guard parade for his services to the nation. 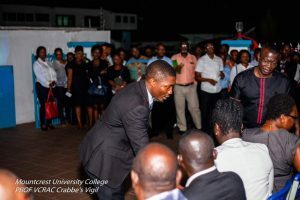 He said later in a conversation, Prof. Crabbe told him that the parade was his best award amongst all his honours and for that, he would die a happy man. 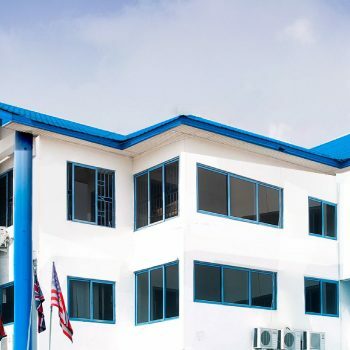 Miss Ama Aboagyewa Akor, a Senior Assistant Registrar at Mountcrest, speaking on behalf of staff, said the late Professor was approachable and had good working relations with staff irrespective of rank. It was an honor, she said, to know him and work with him. The students in their various eulogies told fond tales of Prof Crabbe. They said that he would always insist they filled the front seats of the class or move forward because he was not going to bite anyone. The gathering was told that in his last days, he sneaked out of the hospital to come and teach an evening class before going back to the hospital. Asked for a reason, he said he hated being at the hospital and did not want to disappoint his students by not showing up because he was on admission. 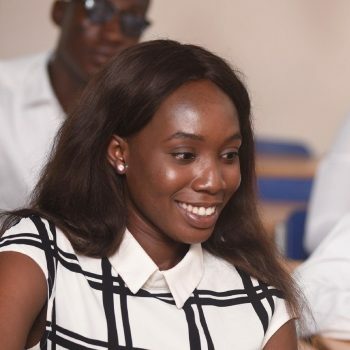 Ms. Adjoa Cudjoe, the SRC Women’s Commissioner, in her tribute said Prof. Crabbe said her first encounter with him was memorable. He asked her three questions under one minute and concluded that she sounded like his late daughter. She then asked him to adopt her and thus began their father-daughter relationship. In his last days, she said he complained about being ‘’detained’’ at the hospital but she told him that was the only way he would rest. “This, he accepted grudgingly”, she added. 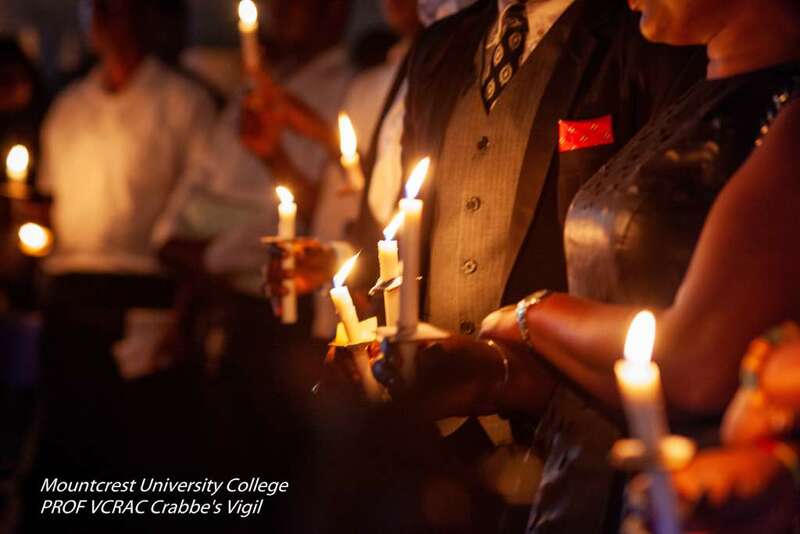 While the gathering was being treated to solemn sweet music by the Legon Methodist Choir Local, individuals signed the Book of Condolence in a setting of fresh flowers, a beautiful portrait of Professor Crabbe and many candle lights.